Durable stuffer for years of use--even for the heavier user. Easily clamps to table. 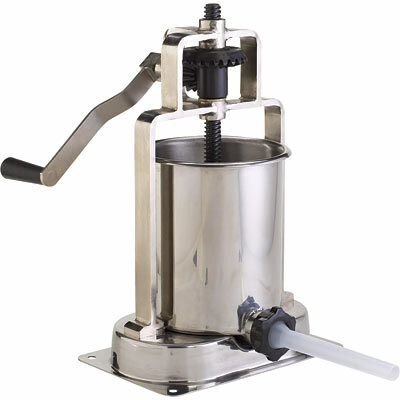 Removable cylinder makes filling and cleaning easy. Metal gears, stainless steel base. Includes 3/4", 7/8" and 1-1/4" stuffing tubes.